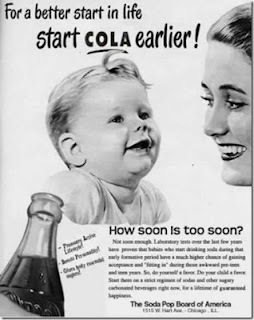 Most rational people understand that "truth in advertising" is an oxymoron. We don't believe everything we see. But that doesn't mean it's ok to make any old claims you want about a product. 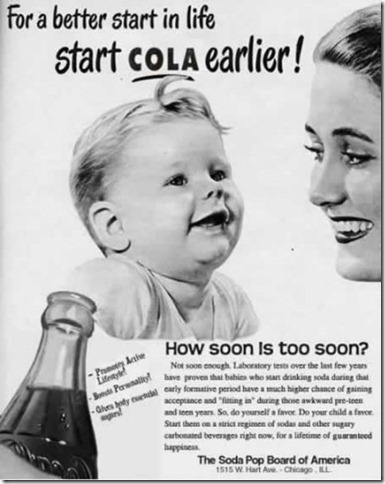 If you take a look at product claims made in historic advertising, it is obvious we benefit from regulations that impose parameters and guard consumers against blatantly false claims. However, how much power should the government (that is, WE) have over the advertising and packaging of a product? A federal court declared this mandate unconstitutional to impose this requirement on tobacco companies and struck it down before it could be implemented. I don't smoke. But I'm not a purist. I smoked for a short season long ago when I worked in theater. Theater folks are typically a smoking crowd, no secret there. And I'll be honest - I enjoyed it. It's relaxing. 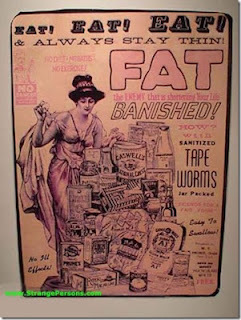 It curbs your appetite. And it gives you something to do with your hands when you're waiting around for call. But I got tired of smelling like smoke, of spending money, of hiding my habit from people who loved me and would have disapproved. I didn't like giving that much power over myself to a drug. And I knew it wasn't good for me. I'd seen what decades of tobacco use can do to people. I'd listened to the wheezing and coughing of people I love. I'd watched their skin shrivel and wrinkle, smelled death on them. I'd watched them struggle for breath as they reached to remove the oxygen tube and light up. I'd seen them cough up something that looked like coffee grounds from the recesses of ravaged lungs in a hospital bed. I'd gone to their funerals. Now the nanny state wants you to quit, too. And they think forcing you to look at gruesome images every time you buy a pack of cigarettes will do the trick. 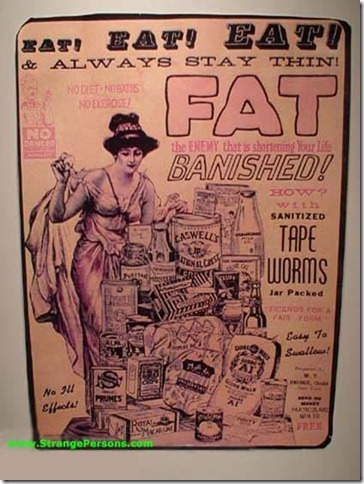 See, the FDA claims their job is "Protecting and Promoting YOUR Health." 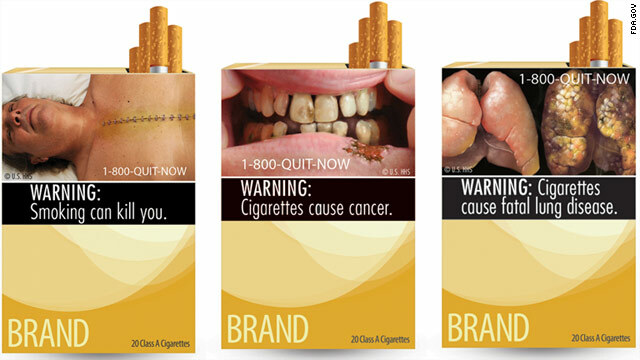 Even if that was true (and not just the result of some committee meeting on coming up with clever mottoes), does it give the FDA the authority or the power to force tobacco companies to use pictures of rotted lungs on cigarette packaging?